When you’re making cabinets, you must make sure that you’re using the best wood for the job. If you’re unsure about wood and the types out there, then having some information beforehand is always good. Here are some of the best options to go with when it comes to having custom cabinets made for your home and why they might be ideal. After learning a bit about this, you can make a more informed decision on which is best for your home. Maple – This is a light color and comes in fine grain, it is also a popular choice for those non-custom cabinets that are made. It gives off a contemporary look, but can also be stained to be a darker color if the homeowner wishes. 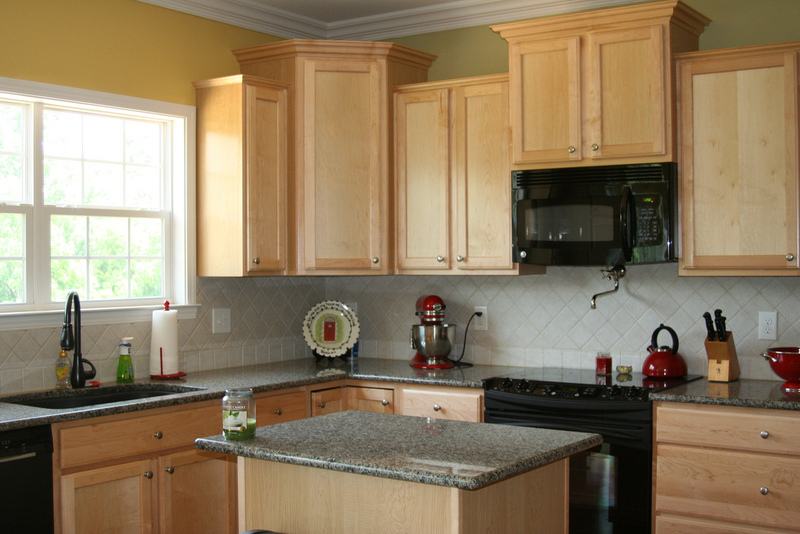 Red Oak – This is the most popular choice for cabinets because it is the least expensive. It provides a grainy look and comes in many colors and finishes. It is a durable selection for those areas where it is going to be used often. White Oak – This is a lot like red oak, but it is made a bit stronger, giving it a more durable appeal. It is thicker and has less of a grain than red oak. White oak is only available to those looking to get custom cabinets. Hickory – Like oak, it is a wood that can be stained is durable. It is usually a rare choice, but it is one that a homeowner can choose. It has a more rustic style to it which many homeowners choose to go without. Knotty Pine – This is a softer choice for cabinets and are usually found plentiful in older or rustic homes. The wood can be stained and it does have a knotty look to it which some may or may not like. Cherry – This elegant choice is very hard and durable. It is smooth, fine grained and provides the homeowner with many color choices as it can be stained. It is a reddish-brown color but one that puts off an air of sophistication in any room. Birch – This is used to give off an appeal of maple or cherry when stained the right color. It is fine grained and another durable option to go with. It is another inexpensive choice and available in both stock cabinets and custom. If you’re ready to find out all the many options that you have regarding custom cabinetry, then you can fill out the form below and connect with a custom cabinet maker that can help you. Have the perfect cabinets in your home through their help.